One of the most famous group photographs ever taken on a baseball diamond is this image that pictures the three greatest home run hitters in the world, all together and leaning on the fence. For one, Babe Ruth is not center as that honor belongs to young Jimmie Foxx. 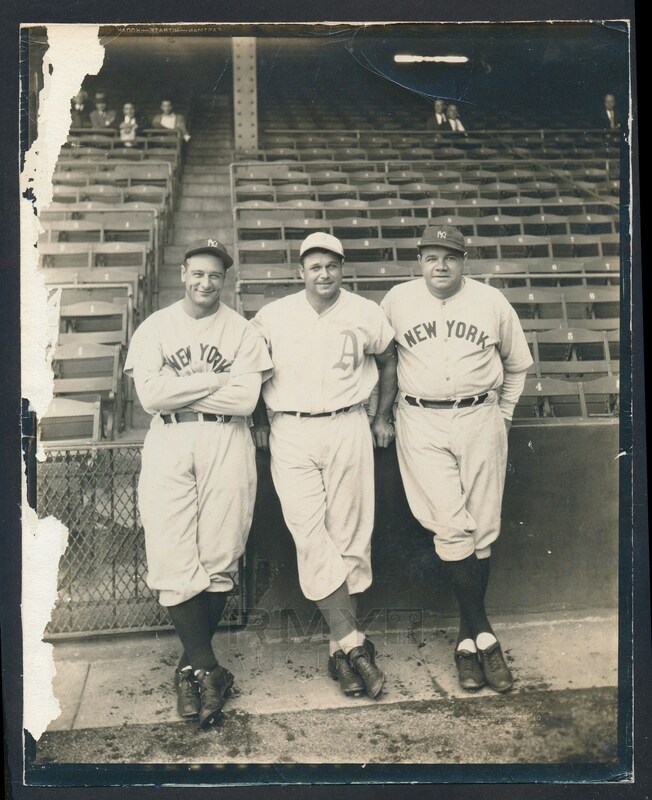 He is flanked by the two greatest names in the game, Babe Ruth and Lou Gehrig. The offered photograph is an embossed image from the Wagner's Studio in Philadelphia (which explains why Foxx is center) and this is the ONLY known copy of this photograph off the original negative and vintage to the time it was taken (Vintage 1 or PSA Type 1). The area surrounding the players is perfect with some mild handling wear that extends out along the edges. Unfortunately at some point the image got stuck to something else and was peeled off removing some of the front gelatin surface at the left edge. Fortunately though, this can be matted out leaving the center portion in perfect condition. The back of this photo was mounted to thicker paper for publication. 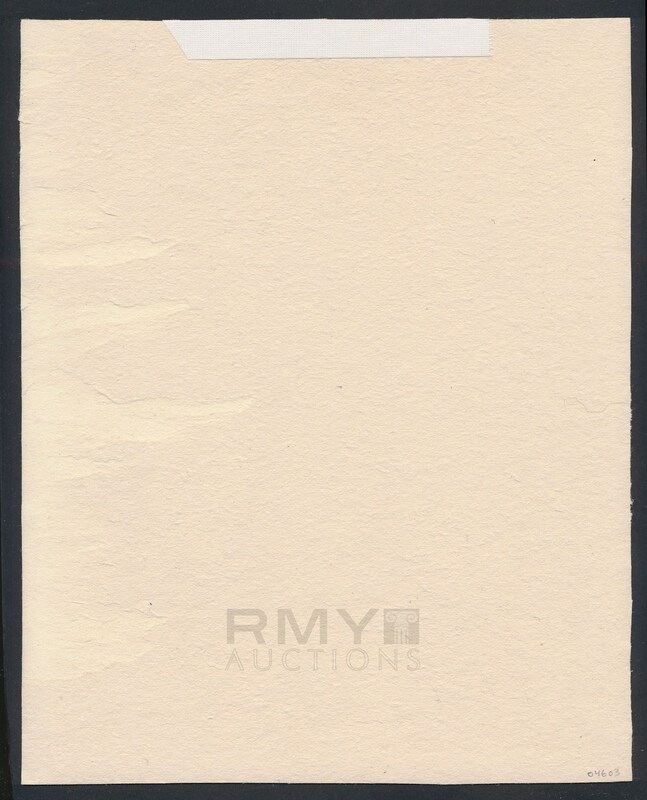 The photographers dry stamp on the corner should be enough for authentication but the paper on back can be removed if it is needed and should be an easy process. All things considered, this is one of the finest visually appealing images ever taken of Ruth and Gehrig together with this being the only original we know of in the world!